Hello friends! Okay, by the show of hands, who is watching Marie Kondo on Netflix and starting off their new year with a ton of tidying up? Me too! Honestly, at the beginning of each new year I feel the itch to do this but it’s been fun to see my kids actually enjoy her show too and want to organize their rooms and drawers a little better. Speaking of organization…my friends and I are getting together to share our organizational printables with you today and there are so many fabulous ideas. I’ve been so excited about this! 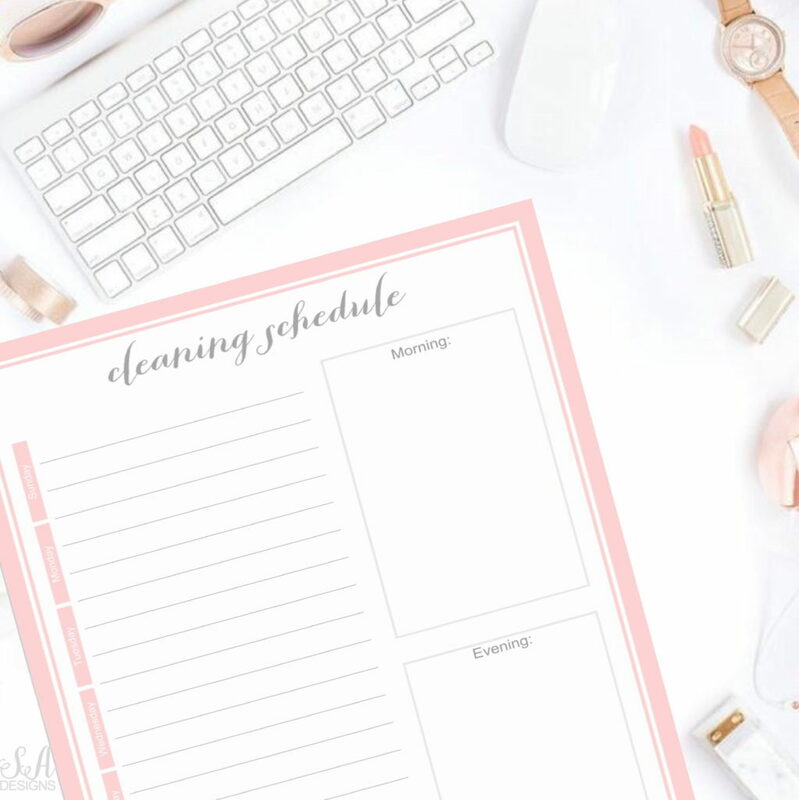 I’m sharing my pink to-do list and cleaning schedule printables (that I designed a while back) for free. There are 3 printables I’m sharing today. Is our home really that clean and organized all the time? Many people that follow my blog or that follow me on my social media platforms typically like to ask my kids or husband upon meeting them, “Is your home really that clean and organized all the time?” They will answer “yes” and really believe it and, for the most part, it stays pretty clean. Now, as a mom who sees all and has her own definition of “clean”, I’ll tell you that our home gets messy and chaotic from time to time. But truthfully, it stays pretty clean because we stay on top of the housework. If we don’t, well then….we go through a few busy days and can’t stand it anymore and we get cleaning again. It is NOT always camera-ready. It does need to be fairly clean and tidy though or else it would be a HUGE chore to have to do, every single time I wanted to take a photo. You’ll notice that my home is very light in its design and there’s a lot of white, like the kitchen, my living room sofas, and most of our bedding. When you discipline your kids and teach them cleanliness from a young age and you are CONSISTENT, you can have the house that you want. Again, consistency is key! You need to show them how to respect the things around them while still living and playing and having fun. Each Sunday or Monday, I tend to make a quick Cleaning Schedule for the week. I have a housekeeper that comes every other week and does a deep clean but the opposite weeks are left to me and the kiddos and also a few tasks to my hubby. It’s VERY important to me that my kids learn how to clean properly and organize and, honestly, they do a better job than most of the housekeepers we’ve had in the past. Anyway, if I just write down what needs to be done each day (or let them choose the days) and put their names next to them, the week goes by smoothly and everyone knows what their assignments are. There’s no negotiating or complaining or whining (for the most part) and it just keeps us clean and organized. You’ll see Sunday through Saturday sections on the printable to help you. Tip: I like to clean in “zones” instead of all at once. If you do one or two tasks a day, it’s much easier to keep a clean and organized home! Of course, morning and night have regular daily chores like trash and dishes, sweeping the kitchen or picking up the bonus room before bed. That’s why I love those “morning” and “evening” boxes as a nice reminder. Click to print my CLEANING SCHEDULE. I have a home binder that contains all things of importance that I can refer to quickly. In there, you can find my Cleaning Calendar with scheduled tasks we do once a month, once a year, and for those that we do each spring. For example, each month I vacuum our mattresses and then steam them to kill the dust mites. I also wipe down the shelves of the fridge once a month, throw out things from the freezer, dust our tall entry chandelier, and straighten up our pantry (and throw things out) and also our linen closets. Once a year we have tasks that we do outside or in the yard. We also go through our closets and take out items we aren’t using and donate or sell them. For Spring Cleaning, we tend to buy new sleeping pillows, go through our garage really well and clean and organize things, throw things out or donate them, hold a yard sale, turn on the sprinklers, fertilize and get the garden going again, clean out kitchen cabinets of things we no longer want or need (ie sets that are incomplete because of broken dishes or lost silverware), and more. Click to print my CLEANING CALENDAR. Oh how I love to-do lists! For as long as I can remember, I’ve been a list-maker. I need a To-Do List to work off of each day and also make priorities that need to get done by the end of the week. If they’re really important, I’ll also set an alarm on my phone or a reminder on my phone. But I’m a visual person and I need to SEE it on paper every day. I loved making this list for you and made it feminine with a quote I love. Enjoy! Click to print my TO-DO LIST. 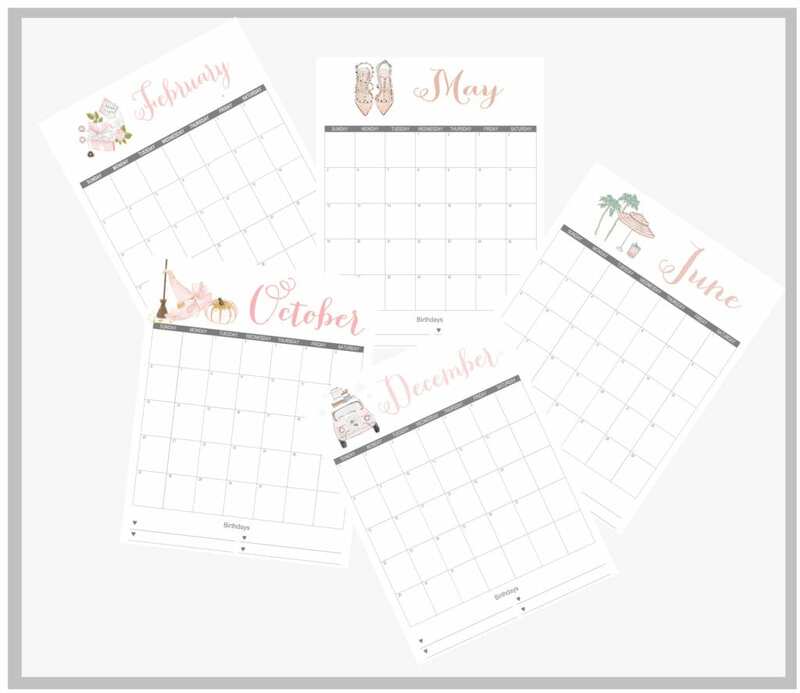 Did you know I offered my Stylish 2019 Printable Monthly Calendars (also for FREE) last week? Here are a few examples above. They are all so darling and you can click on this post to get them. PLEASE visit my friends and also pin their fabulous organizational printables that they’ve created for you! Thanks so much for stopping by today! 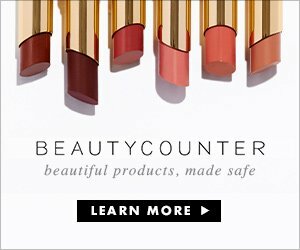 I would love it if you subscribed at the top of the page to follow along with me. You can also follow me on Instagram, Pinterest, and Facebook to see what I’m up to in creating a home and lifestyle of inspiration! Want to shop my Instagram posts? Click on any square below or follow me on LikeToKnowIt! 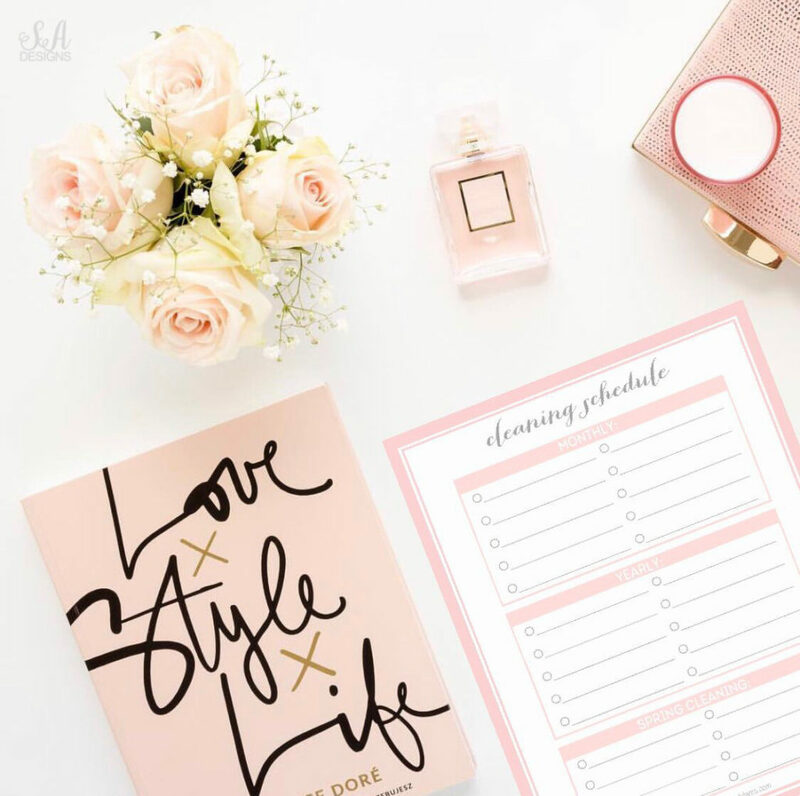 Love this darling to-do list! It makes checking things off fun!! What a pretty printable! 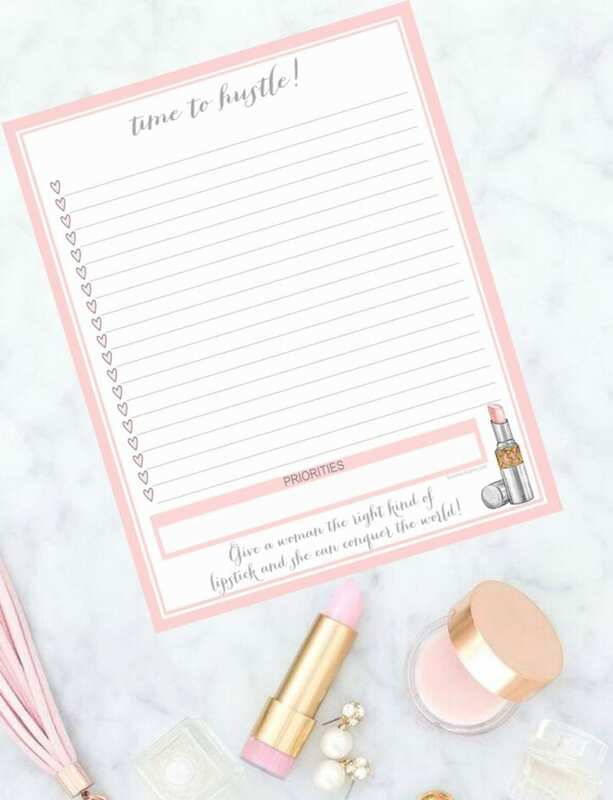 I am the same- love a to-do list and these are perfect! Love your style, and do list sounds like a great plan especially for my college students who seems to lack those skills. He went away last year and got into some bad habits working on breaking. Tough parenting an adult child but he usually will clean his room if l tell him. Wishing he just did it own his own like his younger sister. Goals for 2019# a well organize house with system in place. Have a housekeeper who comes every two weeks. That has really helped best desision ever made.